UNM Parking & Transportation Services (PATS) has issued a notice to the UNM community that main campus is expected to experience high traffic on Saturday, April 6. 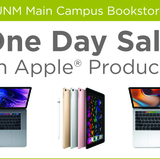 Multiple events happening on the south side of main campus, including but not limited to: ASUNM Fiestas 2019, Popejoy performance “Midtown Men,” Lobo League Volleyball, and UNM Transfer Day, could cause traffic congestion along Redondo Dr. and parking saturation in the Cornell parking structure and parking lots along Central Avenue. Commuters and campus residents are asked to plan for extra time to travel and follow all detour and traffic signs. Additionally, caution in the area is urged with the increased number of pedestrians in the area. 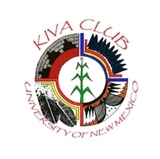 For updates and more information call the PATS business office at 505-277-1938 or follow them on Twitter and Facebook with the handle @UNMPATS.